The Australian electronic music maestros, The Presets, have just unveiled their highly anticipated, fourth studio album (and four years in the making!) HI VIZ. 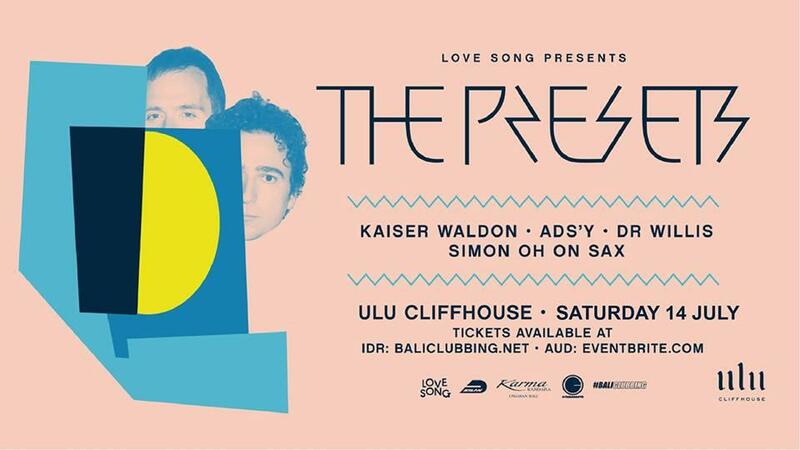 They are PUMPED to be performing their high-energy, star-studded sounds on the clifftop oceanfront playground of Ulu Cliffhouse in Uluwatu, Bali. The HI VIZ Australian tour is already fast selling out with HI VIZ North America Tour 2018 announced for September. Don't miss your chance to see this phenomenal performance perfectly matched against the sheer beauty and magical surrounds of Uluwatu, Island of the Gods, Bali. Due to a capacity crowd we recommend that children be accompanied by an adult.